If you're looking for an inexpensive but GREAT telescope with equatorial mount, this is it! 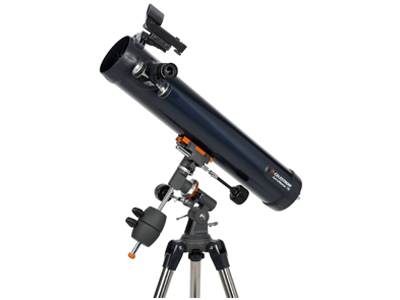 This dual-purpose telescope is for both terrestrial and celestial viewing, and is capable of giving correct views of land and sky. 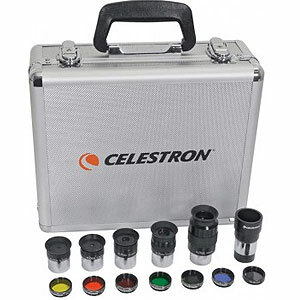 The AstroMaster 76EQ produces clear images of the Moon and planets. It is easy to see the moons of Jupiter and the rings of Saturn. For views of the brighter deep space objects like galaxies and nebulae, we recommend the larger aperture and light gathering ability of the Newtonian reflectors.